The paws-down weirdest paparazzi photo of Robert Downey Jr.'s dog has everyone losing it. 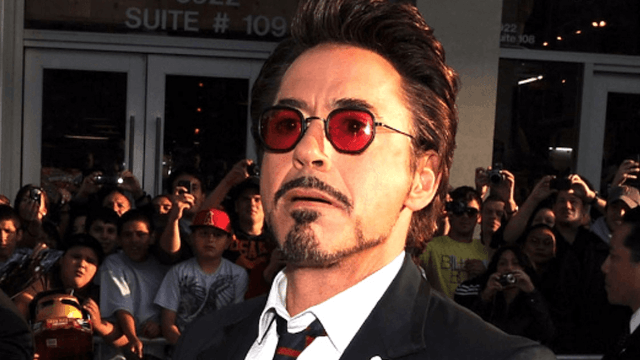 A radio host named Jamie East shared a 2009 paparazzi photo of Robert Downey Jr. on Wednesday, and Twitter immediately became concerned, amused, baffled, and any number of other choice adjectives about a dog in the background. Why? Everything about the dog's expression, position, and—no, mainly those two things. The dog's expression and position were incredibly bizarre. Yeah, you see now. You see, but you don't understand. No one does. Twitter made all the obvious, gross jokes. Twitter made all the cry-face emojis. @OnlineAlison I'm crying! It's too much! And Twitter asked the hard questions. That's all there is here. No word from Robert Downey Jr. yet. Try to unsee this the best you can.